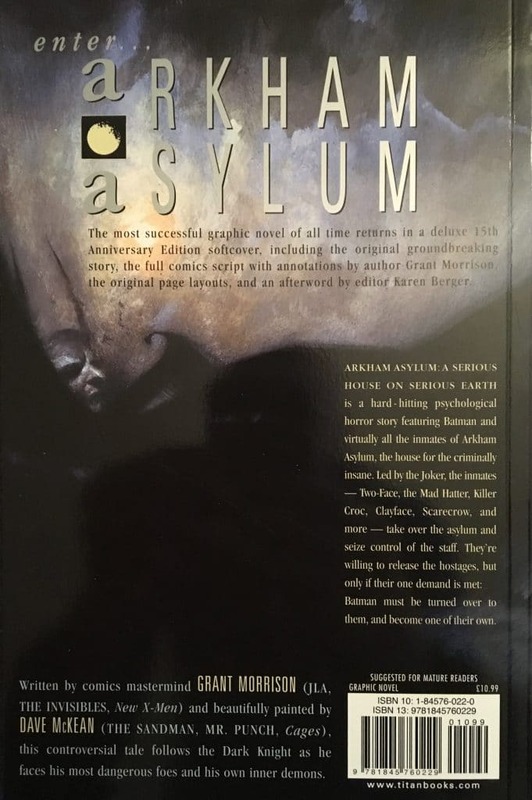 Arkham Asylum: A Serious House on Serious Earth is a truly unique and legendary graphic novel from 1989. The edition reviewed is the 15th Anniversary Edition which has a load of bonus material on top of the original image driven experience. It’s a book unlike any other released as a prestige one shot. It is a dark, psychological thriller unlike any other book before or after it and an experience every comic book fan should witness. This groundbreaking graphic novel has won over the hearts of critics all over the world. 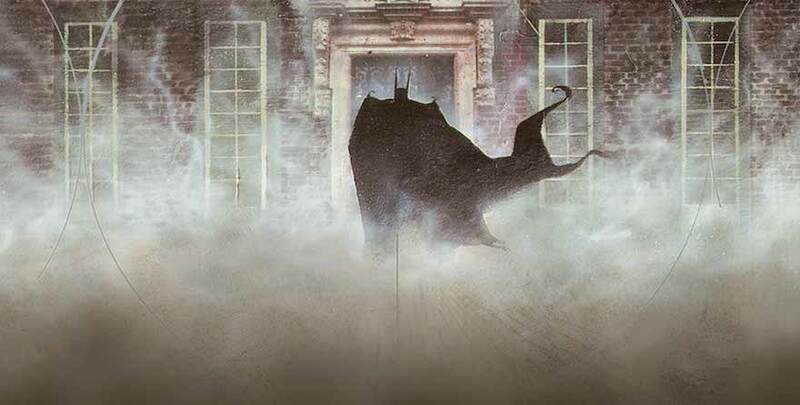 In this epic adventure brought to us from the minds of Grant Morrison and Dave McKean, we follow the Batman as the line between villain and hero is blurred and Bruce Wayne is forced to undergo so seriously twisted trials. When some of the most twisted minds get their way in Arkham Asylum and hold workers hostage, they have some pretty interesting demands. Most important to the plot is that they want to take Batman in as a hostage because they believed the masked vigilante deserves a spot there just as much as they do. 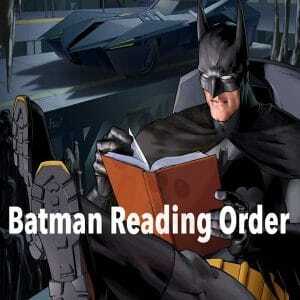 Surprisingly enough, Batman doesn’t think that is too farfetched. 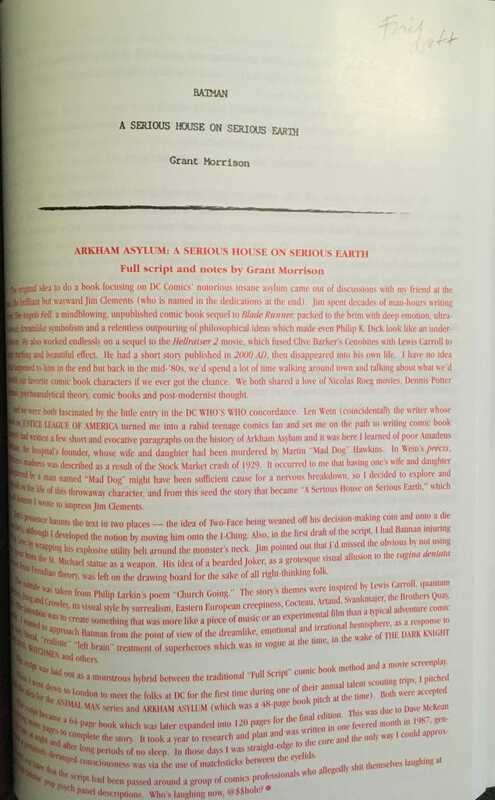 We also get a glimpse of the life of the founder of Arkham Asylum back in the ‘20s and his spiral into madness. The intense plot is heavily complimented by the breathtaking artwork of the entire novel. Unlike most comic books, this entire installment was painted and offers an intense sense of imagery that could not have been provided by regular illustrations alone. This alternative style is dark, depressing, and even somewhat gory. Although there are times where this creative art makes the pages a bit harder to follow or read compared to the traditional layout, I am still a huge fan of it! The color choice was spot on and there was not a single part of the comic that didn’t have impeccable attention to detail. I also very much appreciate the heavy symbolism in the art as well. I could say that the style really facilitated the psychological theme of the book. The story opens up with the plot of the novel where everything begins -with the introduction of Amadeus Arkham. It jumps right in with the dark tale of how his mother was going mad and he was doing everything he could in order to take care of his obviously deranged mother. The visuals of her eating bugs are disturbing and certainly a great place to set the mood of what the entire comic was going to be like. The Asylum is under fire and Batman is requested to join them for the safety of hostages. Although he does get angry and doesn’t try to hide it, it doesn’t take much convince him that this is what he has to do when innocent lives are at stake. This was a great and early indication that this was going to be one of the installments where things were going to get deep and depressing for the Batman. Although you would think Batman was going to walk right into a huge ambush from some of his worst enemies, it was quite the opposite. It was a rather cool and collected entrance where he was hosted by none other than the Joker himself. The Joker offers somewhat of a game for him. He will have an hour to escape Arkham Asylum and save everyone’s lives. However, he will have to encounter and deal with some fan favorite villains who go out of their way to keep things interesting. With the colorful and creative cast of madmen than inhabit Arkham Asylum, readers knew they were in for a ride. Things become even more interesting when other inmates suggest that the Joker was being too generous with that entire hour and get him to cut it back on top of stacking obstacles in his way. 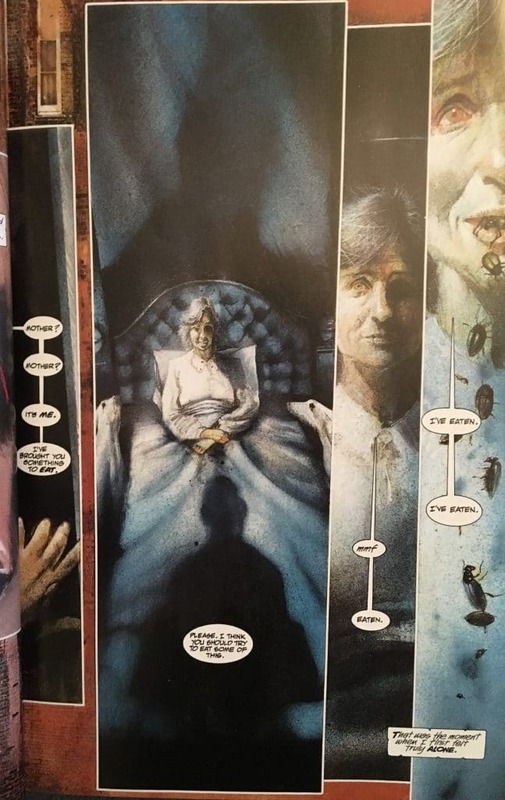 Aside from the side story where we watch as the founder, Amadeus Arkham follows his mother’s path and slips into madness. I think it is funny how we always view the Joker as one of the most messed up villains in the Batman universe. (I mean, think back The Laughing Joke). Yet, when the time comes and Batman is literally at his mercy, he still prefers to go through a long and complicated game rather than just a more straightforward attack. I think this is a great representation of his character, especially compared to the rest of the fan favorite inmates that have a less complicated relationship with Batman. It also says a lot how they are the ones to pressure the Joker into being stricter with the regulations. 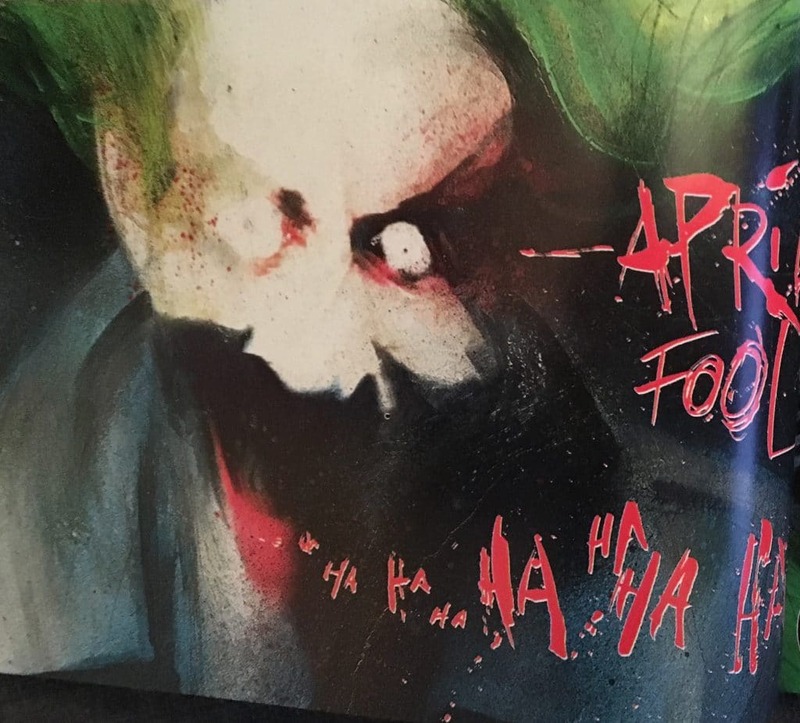 Even more ironic was that he was brought in on April 1st -April Fool’s Day which tends to be a very significant date for any and everything involving the Joker. Most of the comic focuses on the interaction and relationship of the Joker and Batman. Two men of tragedy who reacted in two very different ways. Even when you look at their personalities and set their intentions and actions aside, we see a vast difference. Batman focuses on all of the details and symbolism of everything. You can argue that he has problems seeing he face value of things and I thinks deeply about everything he does. On the other side, Joker is the opposite. He is the representation of pure chaos and often acts without having everything in order. We can see a lot of this during the scene when they were looking at the Rorschach test. For those of you unfamiliar with these tests, it is one of those psychology tests that have been used when trying to look at more subconscious thoughts. These are those generic things you have probably seen before with the ink blots into some random shape. Not too surprising is that when the Joker sees them, he sees some ridiculous things. Very random and out of this world things and events. Batman on the other hand only sees one thing. A huge Bat. When Joker and Batman go on to play even more games, we get to dive deeper into the psychology of both characters. A lot of these scenes focus on the fact that Batman is really not as sane as you may think he is compared to the villains institutionalized there. While he is not the same kind of crazy, he is certainly not the healthiest of individuals. Everything goes back to his mother and father and things always seem to turn back to the murder. While this is not surprising for readers, it seems as though Batman is a bit in denial in the beginning that everything comes back to his parents. I think watching his actions in a setting where the Joker and Batman are being evaluated in a side by side manner is really cool. It is certainly depressing and it is exactly what you would expect from his character. All of the imagery during these scenes was amazing. 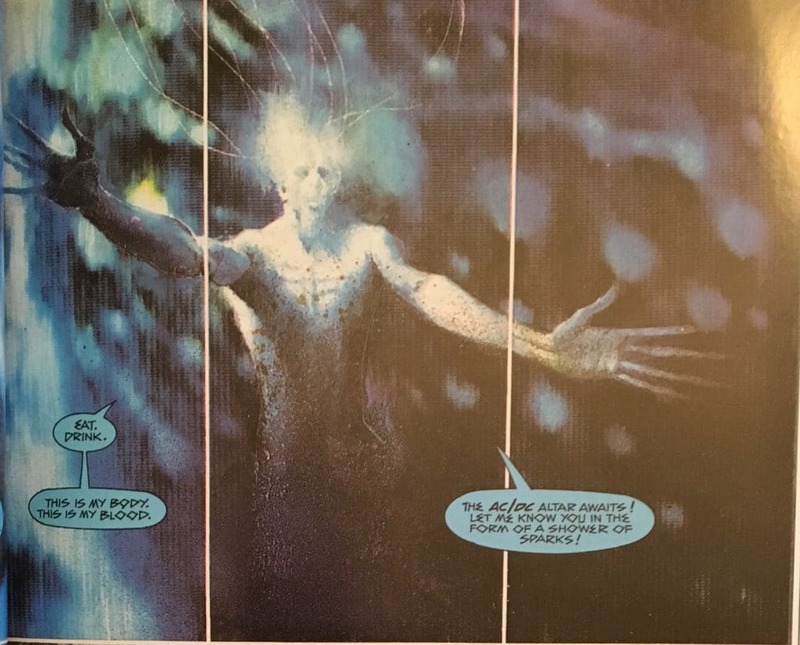 From the obvious underlying issues with Batman himself, the comic was also huge in religious imagery . I think this may have come across a bit confusing for those who had little or no background knowledge of Batman’s origin story. Although it is kind of hard to follow without this solid background information that was not explicitly described during the installment, if you did know this, these scenes were choc full of easter eggs. It was great to watch the word association game specifically. “Pearl,” “Revolver,” and the whole father-death symbolism really define where Batman is right now. I think having Amadeus’s story was a nice touch. 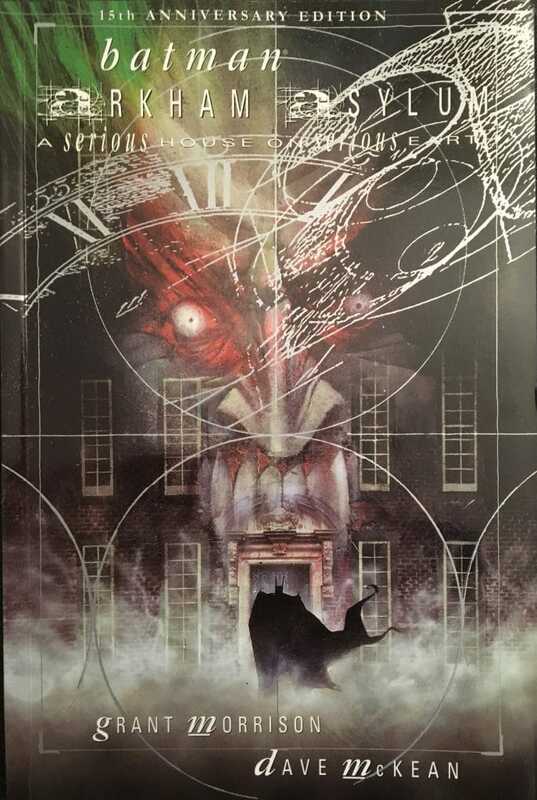 It really offered a lot of depth surrounding the foundation of such a place like the Arkham Asylum. This really provides an extra background to the whole story. It also adds an extra dynamic to the book where you can watch how such a well-intentioned individual was sucked into the madness of tragedy and it all. The Joker and Amadeus were not the only characters who made their way into this comic. There were also special appearances from several different fan favorite villains as well. Just thinking about some of the inmates that had some more important roles throughout the story, we did get to see the Killer Kroc and the Scarecrow some decent amount. Without providing too many spoilers, Batman must face all of these foes as he tries to break out of Gotham. In battles of both mental and psychical prowess, there is a lot that is tested and Batman is driven to the absolute edge of his person by the end of it. Great fight scenes and beautiful imagery really compliment this all. Overall, I would rate this comic a good 4.5/5. 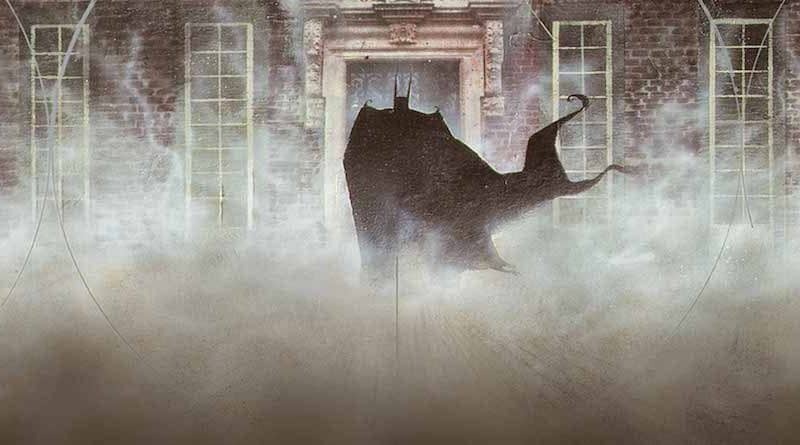 It is a groundbreaking tale that has redefined how many of us think and look at the Batman series as a whole. It was a simple plot, yet took us on a beautiful journey where the style of Batman was redefined and the psychology of the entire series was explored. The groundbreaking story has become one for the ages. With so many different elements explored and an entire character introduced for the first time, this was a great story for any comic book fans to read. On top of it all, its creative and beautiful art style of painted illustrations make for a beautiful tale that will disturb just as much as it will entertain. 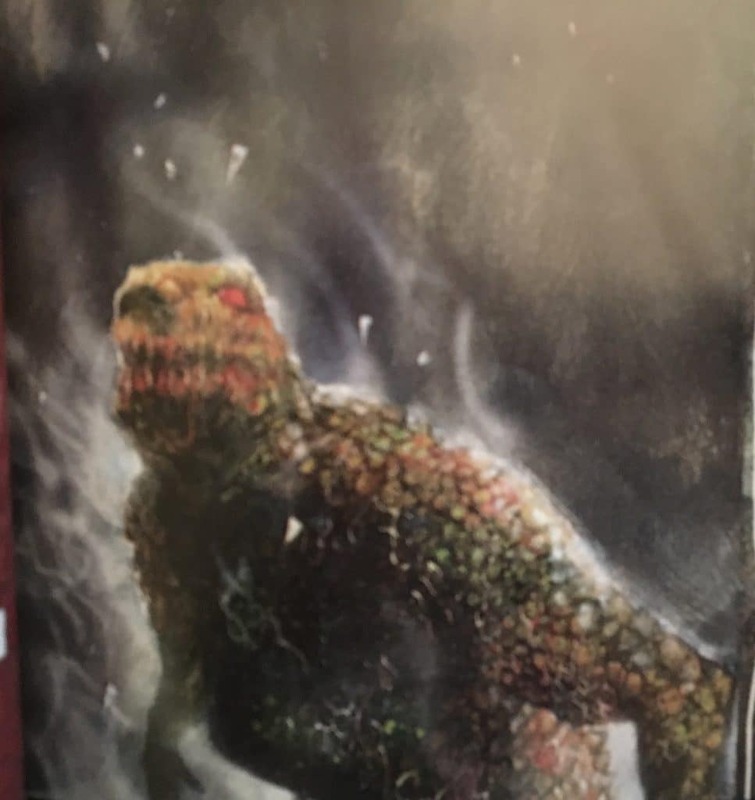 On top of the inclusion of several different fan favorite villains, there is a lot of people to look forward to in this comic. Although I think this may not be the greatest introduction into the comic genre due to its unique illustration and presentation, it is a great read nonetheless. On top of that, it is a must read for anyone that calls themselves a Batman fan. Arkham Asylum is an experience no one should miss out on. It’s a true ‘experience’. Make sure to get the special editions so you can read all of the excellent bonus material making this an easy 5/5 bargain.